We need open primaries in Georgia because the elected officials are entrenched while Atlanta and D.C. could use some new blood. Evidently, protecting jobs (their jobs) is their main concern and both major political parties support the current funky system. So, a candidate who has support from various sections of the community must first win his or her primary before advancing to the general election in November. Well, they draw this district lines in a way that favors their team—Democrats and Republicans both do it. The Voting Rights Act of 1965 requires preclearance of congressional and state legislature district lines in some states to improve the representation of minority voters. A strange twist is that packing Black voters into a few districts makes adjacent districts so Republican that Black voters (often Democrats) are ignored. Yes, we could have a sizeable number of Black Republicans if the crazy part of the GOP didn’t run them off. Ask yourself: Is race, political party or regional interests most important to you when voting. Do you necessarily need a Black politician to serve your needs? Is green (money) the most important color while voting? Hey, the homeboy Bill Clinton gets a lifetime hood pass but he dam near got it revoked for taking trash about Obama during the Obama/Hillary primary battle. While I love the Obamas, Bill will always be my dude.. without regard for race, creed or national origin. When Herman Cain was running for the U.S. Senate, everyone knew that he could have gotten a sizeable part of the Black vote in an open primary process. In an open primary, candidates run together and the top two vote-getters face off in the general election. That is similar to local elections when everyone runs for office together and a candidate wins with over 50% of the vote. If no 50%, the two top candidates meet in a runoff. Many believe that Karen Handel would have face Nathan Deal in November if Georgia had an open primary during the last govenor’s race. She would have likely won because she would have received support from some Democrat woman. Look, the South is GOP and I get that but if given a chance, I would and have voted for the GOP candidate whose views are most similar to my moderate positions. Bottomline: we should push for open primaries so we can vote for the best person for the job rather than the person who survives a partisan primary. Hall County, Georgia, County Commissioner Ashley Bell loss his election Tuesday night– who saw that coming. Bell is a bright Black attorney who was a college star in the Democrat Party but recently switched to the GOP. I thought he was a shoe-in to win Tuesday night but the election should have been for a newly created congressional district. We can really mess some stuff up down here in the South and one of the biggest messes is politics. Governor Nathan Deal saw Bell as the future of the conservative movement but to me, there is little place for African-Americans in the current southern GOP. 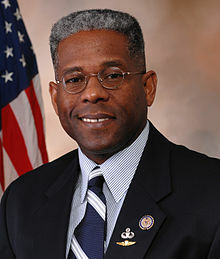 Of course, the few Blacks who spew that mean-spirited talk radio crap will do well speaking to ultra-conservative groups but they will not do much to expand the conservative tent by explaining their policy positions on my side of the tracks. Michael Steele and Ashley Bell could have changed the course of American politics because they are level-headed but the party that booted Steele and ignored Jon Huntsman isn’t about healing or serving the whole nation. It’s about getting folks pissed off and inciting a revolution. Those of us in the political middle needed guys like Bell to speak with his fellow conservatives about reasonable methods of approaching the rest of the country. If they did that, a third of Blacks who vote in the South could get their views. But, they let anger take over and the rest is history. I think Bell was once a Rep. Sanford Bishop intern and he would be the perfect young conservative to seek that congressional seat once Bishop retires to private life and corporate board wealth. Ashley is still rooted in our community and could win enough of the Black vote because he is a good brother. But, I got the call yesterday saying Ashley didn’t win in the GOP primary. Why the hell didn’t he have a GOP opponent when he was being groomed to be the next great thing? Under our primary system, Blacks would not take the GOP primary ballot for Herman Cain, Ashley Bell or anyone because that ballot is associated with the ugliness of the far-right. What kind of southerners do we have today? The southern way is to smile and say syrupy-sweet things to get elected then do whatever once in office. Well, the “powers that be” in the GOP will take care of Ashley but at some point they need to know that a political party in which everyone is the same isn’t good for a diverse nation. The same principle applies to a southern all Black Democrat party. Someone is getting wise to the game on the GOP side because the new anti-Obama ad is too smooth. The ad basically concedes the fact that Obama is one of the greatest people ever but questions if he is the right person for this good right now—hats off to the smooth slickness of this method. Someone at the RNC is begging his teammates to keep it policy vs. policy rather than Obama vs. Romney—smart. If they wanted some more similar smart ideas, I would suggest listening too and respecting Steele and Bell. Genesis 4:15 And Jehovah said unto him, Therefore whosoever slayeth Cain, vengeance shall be taken on him sevenfold. And Jehovah appointed a sign for Cain, lest any finding him should smite him. Herman Cain shouldn’t feel the wrath of the GOP if this mess about him is true. As quiet as it is kept, they should have vetted him better and he served his purpose. In 1988, Senator Al Gore ran for president to increase awareness on global warming. Herman Cain’s chief reasons for entering the presidential race were to highlight problems with the arcane tax code and anti-business governmental policies. He did that. If half of the allegations about Cain are true, Reverend Cain should reread Genesis 4:13 where Cain said to God “my punishment is greater than I can bear.” Well, the original Cain should have thought about that before he killed his brother and Herman Cain should have thought about that before he stepped onto the presidential stage. Why do you think those other fellows chose not to run? I see parallels between Heisman Trophy winner Charlie Ward and Jon Huntsman. Ward was the best college football player in the nation and a Christian athlete who was undrafted by the N.F.L. Pro scouts didn’t think he was tall enough at quarterback to see receivers over tall linemen. Jon Huntsman could receive half of the centrist vote if his fellow conservatives could see pass their primary season. Charlie Ward wasn’t vengeful about his slighting as he resorted to Plan B by having a successful career in the N.B.A. Jon Huntsman should have a similar Plan B that involves using open state primaries as mini-general elections. He could show GOP voters that he is the Republican who Democrats find most reasonable. Of course, red meat Republicans are vengeful at Huntsman because he was patriotic enough to accept President Obama’s request for him to serve as our nation’s ambassador to China. Huntsman’s plan to put it all on the line in New Hampshire would be better if he spent some time courting moderate and centrist voters in South Carolina and other southern states. If Newt Gingrich is the GOP nominee, Huntsman’s coolness could be the perfect counterbalance. So, maybe Huntsman’s Plan B is the vice presidency. I know he would be better received on southern college campuses than any other GOP candidate and he could actually get more votes for non-GOPers than GOPers–that would be wild. Did Rush Limbaugh create the operational plan in 2008 for Obama/Biden primary success in 2012? At the first public event for the unlikelyalliesproject.com, someone pointed out that Limbaugh created and pushed a national strategy which called for Republican crossover voting. The plan was for conservatives to vote for Hillary Clinton in open primary states and therefore prolong the Clinton/Obama battle. Actually, the battle seasoned Obama and prepared him for McCain so thanks Rush Limbaugh and thanks for providing historic validity to this blogger’s idea that Democrats should do something similar in 2012. Of course, Democrats aren’t crafty enough to do something diabolic but a positive twist on the Limbaugh technique would be Dems voting for less-bitter GOP candidates like Jon Huntsman or southern homeboys Rick Perry, Herman Cain, Ron Paul and Newt Gingrich. James Carville and Paul Begala from the Bill Clinton campaign should be on this like white on rice. Carville recently said that Dems aren’t trying to hurt the Herman Cain campaign because Obama would eat Cain up in a general election debate. As we say in rural Georgia, “don’t talk about it…be about… let’s get the show on the road.” Obama vs. Cain. Obama vs. Huntsman. Obama vs. Paul. Yes we can. Obama vs. Huntsman would be creepy because they are basically the same person but on different sides of the political fence. All GOP presidential campaigns except Romney should welcome Dems extending the primary season while they wait for their candidates to catch fire. This blog and the unlikelyalliesproject.com aren’t about supporting any candidate or side. We are about creating a forum for discussions involving ALL sides. But, I tell you that Tom Joyner, Michael Baisden and Doug Banks could have fun with a new version of Limbaugh’s Operation Chaos. Check out the news article below on the 2008 Limbaugh effort to support Hillary and then information straight from his webpage. Citing a story in a Texas newspaper headlined “Many Republicans to Vote for Obama,” Limbaugh told listeners this week: “I understand I’ve got a big challenge here to try to get Republicans to change their minds on this and vote for Hillary to keep her in the race, to keep that party at war with itself . . .
“I know I’m fighting an uphill battle . . . vote for Hillary to keep this campaign going, this ‘uncivil war,’” Rush said. “Remember what this is, this is about us winning. You have to understand, it’s not about Hillary winning; It’s about us winning. It’s about our party winning. It’s about those people losing. They’ve got some problems in the Democratic Party. It’s not all sweetness and light over there . . . I am ticked off that GOP voters automatically turn up their noses at Huntsman because he accepted President Obama’s request for him to serve as U.S. ambassador to China. For that reason alone, Huntsman deserves some Obamacrats’ votes and his cool demeanor on the GOP debate stage creates a contrast from red-meat conservatives. I was surprised to learn that Huntsman’s record as Utah’s governor was more conservative than Mitt Romney’s governor record in Massachusetts. A primary vote for President Obama is basically a “feel good” gesture because he is only person on the Dem ballot. Democrats who vote this one time in the GOP primary would be seriously messing with their heads and their statistical research. They flirt with Huntsman, Cain, Paul and Bachman but we could actually make one of them the winner of the South. Jon Huntsman and Herman Cain could pack Black college meeting facilities from Orangeburg, SC, to Dallas, TX but their handlers don’t know the potential as well Michael Steele. Moderate Democrats could be their Hail Mary pass and mixing things up would be so much fun.